Are NCERT books enough for Boards? Well, the CBSE board itself says so! 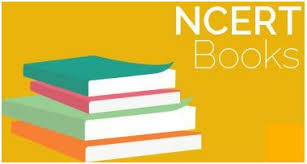 A lot of schools affiliated with CBSE or Central Board of Secondary Education have been instructed by the Board to make use of just the NCERT books for all grades. Why is this step taken? This measure has been considered by the Board after it received a lot of complaints and reports from parents saying that the schools were pressuring students to purchase large number of textbooks that were published by others. Are NCERT books really enough? What does the Board say? The mechanism of the NCERT books is in such a way that while the CBSE schools require NCERT books from classes 9 to classes 12, other books from other publications could me made use of for up to grade 8. However, the CBSE board also recommends that more and more schools begin using the NCERT books for classes lower than 8 as well, attaching an advisory saying it needn't be considered as a hard and fast regulation. The NCERT books are penned by those who have immense experience in every topic and they provide the right information to students. The books are developed in a manner so that it serves all students, regardless of their IQ, with right knowledge and information in easy and simple language. Every topic in the books come with tiny details. Thus, if you study the NCERT books properly, you will have no tough time studying complex concepts! This is again an important reason as to why NCERT books are great for students to use. The books stick to CBSE curriculum strictly because of which the NCERT books are more than enough to act as a study material. Besides, the content that is comprised in the books don't just cover board exam concepts but also covers topics of competitive exams like IIT-JEE. The study material aids you in creating a foundation for you to prepare for the Boards, and the question papers of the CBSE exams are designed as per the prescribed syllabus in the NCERT books! If you brush across the previous year exam question papers, you will see that all those questions root themselves to the NCERT study materials. A lot of times, CBSE likes to ask questions in a twisted format. So, those who'd have just mugged the NCERT books complain about it. Otherwise, NCERT books are great for CBSE Boards! If you ask us, we would just suggest you to go ahead with the NCERT books and not worry about a single thing!